Office fit out costs in London | How much does an office fit out cost? We are often asked by clients how much does an office fit out cost in London? 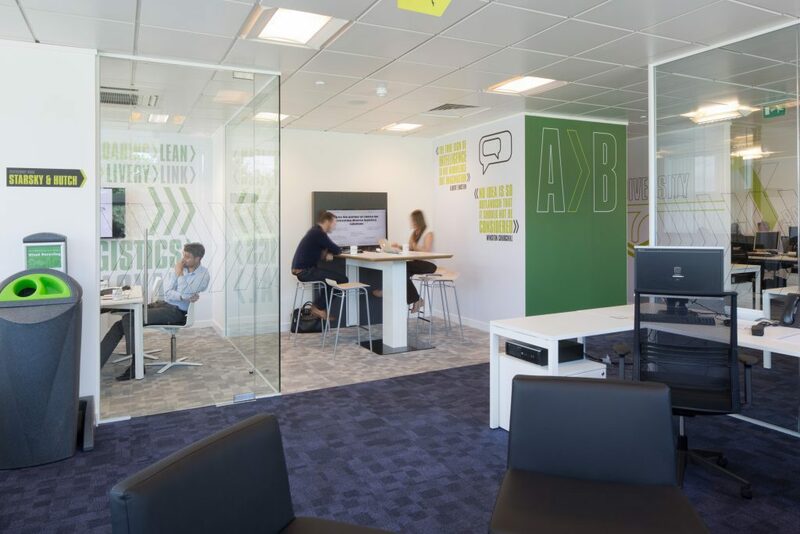 While there is no definitive answer in relation to how much an office fit out costs, we hope this article provides some insight and useful information. There are numerous reasons why companies decide to fit out a new or existing office space, their old space may not be big enough to facilitate growth or they may have a lease expiring and decide that an office move is the best option. 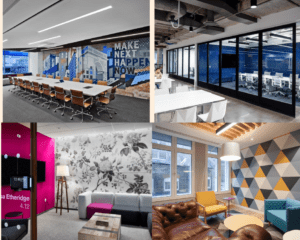 As companies begin to look at new spaces and to set budgets for rent and associated move costs, it is important to consider the office fit out costs, and to get accurate estimates from fit out contractors. You can also download our Guide to a Successful Office Fit Out by clicking here. We tend to answer the question ‘How much does and office fit out cost?’ by stating that a basic or standard office fit out costs from £35-£40 per Sq. Ft, with office furniture costs working out at £500-600 per person. To put that into context, if a company with 20 staff is moving to a 2,000 Sq Ft space in modern, new building that has been fitted out to a Cat A finish, and requires just a minor fit out, the baseline cost would be between £80-100k for fit out, and £10-20k for furniture, totaling between £90k – 120k. This option is really designed for companies on a tight budget and focuses primarily on ensuring that the space is a comfortable work environment. 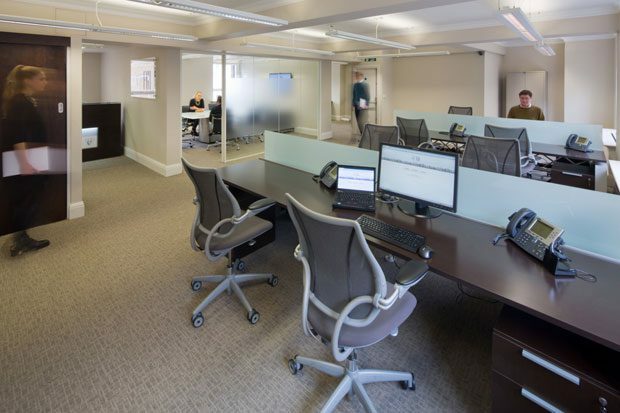 Office fit out costs rise as the spec level and size increases, and for what we would term a good quality office fit out, where durable, ergonomic furniture is selected, the fit out costs would increase to between £45-£65 per Sq. Ft with office furniture costs coming in at £800-£900 per person approx. 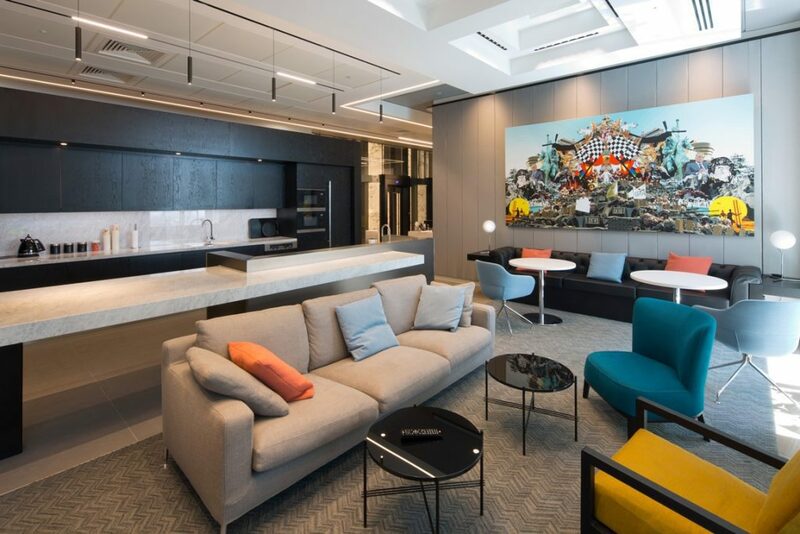 This budget would allow the company to create a really beautiful work environment with some additional features and innovations that can really have a major positive impact – check out our Office Design Matters eBook to find out how. It also allows for a greater level of structural changes, and improvements to existing services such as lighting, cabling, flooring and AV. If your organisation plans to make a real statement and create a truly amazing workplace, the office fit out costs don’t really tend to have a ceiling, but generally would start at £70 per Sq. Ft upwards. It is worth noting that the most expensive fit outs on record go right up to £500 per Sq. Ft – read this article about the most expensive office fit out on record in London, a whooping £500 per Sq. Ft. Now, to put that in context, the space did have a marble staircase, gold toilets and a dedicated restaurant. 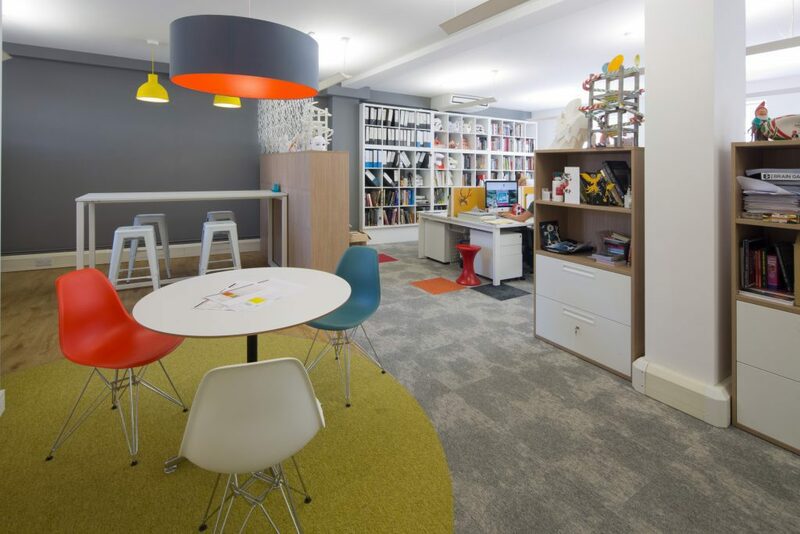 A high spec office fit out generally means that the space is completely revamped and that all feasible improvements are made and that top quality, even bespoke furniture and joinery is included within the design. In summary, you can spend as much or as little as you like when it comes to office fit out costs, but our recommendation as a fit out contractor would be define exactly what you want your new workplace to deliver, and to then set budgets accordingly – our guide to a successful office move, may prove useful. How much does an office fit out cost in London? *The estimates provided are based upon our experience and should act as a guide, but if you would like to discuss office fit out costs in more detail, please do get in touch.